David specialises in all aspects of residential and commercial property, estate development and residential development. He deals with clients on a local and national basis and deals regularly with high net worth properties. David studied law at Nottingham Trent University. He qualified as a Solicitor in 1984 and went on to join Cole & Co Solicitors, becoming a Partner in 1987. 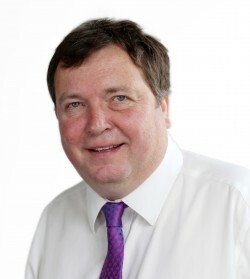 In 2013 Leathes Prior incorporated Cole and Co and David now sits as Head of The Residential Conveyancing Team, overseeing a team of over 20 people; both lawyers and support staff. With over 30 years’ conveyancing experience in Norfolk, David knows the local market inside out. He prides himself on his reliable repeat business and ongoing recommendations. Clients, Estate Agents and fellow Solicitors regularly recommend David due to his personable, practical and pro-active approach to conveyancing. He is approachable, pragmatic and draws on the supportive expertise of his helpful and efficient team. David is a Manchester City fan and season ticket holder, having supported them since he lived in the area in the 60s. He also has a season ticket at Carrow Road (which he vacates to sit in the away end when the light blues come to town). He also enjoys playing golf and is a member of Eaton Golf Club. He was previoulsy the Chairman of the Norwich Round Table ‘41’ Club. I just wanted to quickly convey our satisfaction with David Clarke and his team following our recent purchase of a property in Birchfield Road, Stockport. As expats and nowhere Norwich, confidence was key and David came highly recommended and didn't let us down. We were kept well informed throughout and any queries were answered quickly and satisfactorily. A thoroughly professional job and we would have no hesitation in recommending Leathes Prior to others in the future. As always excellent, courteous, prompt and professional service from David. David Clarke as sharp and efficient as ever. David Clarke provided an outstanding service. Partner David Clarke is recommended for all aspects of commercial property and residential development work.